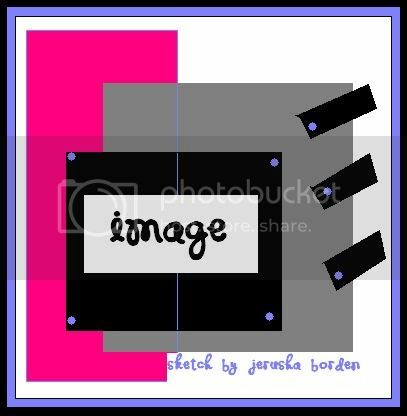 Here's Jerusha's sketch. The added extra challenge from Susie is to use ribbon on your card. cardstock- Certainly Celery from Stampin Up! ink-Certainly Celery, Crumb Cake and Soft Suede ink from Stampin Up! ribbon-ivory seambinding from Stampin Up! I am really pleased with how this came out! One of the things I love about being on the LCOM Card Team is that I can use up what's in my stash to create my cards. If your stash is anything like my stash...then you have a lot to choose from and it can be overwhelming! But before Christmas, I bought the kit pack that Sassafras Lass was selling on their blog. I just couldn't resist. So, I thought I would pull it out and try to use it today for this card. Hope this inspires you to use this sketch and link your post to Mr. Linky at the LCOM blog by Sunday evening February 6th at 8PM EST for a chance to be our next GDT for the week of February 14th and 15% off your next LCOM order. Happy scrappy crafting and thanks for stopping by!